Presenter Kate Garraway had a busy day recently as she completed 24 jobs in 24 hours to raise money for Global's Make Some Noise. 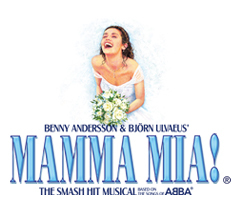 As part of her challenge, she assisted in the MAMMA MIA! London wardrobe department, did a backstage announcement, and appeared on stage as a Dynamo!